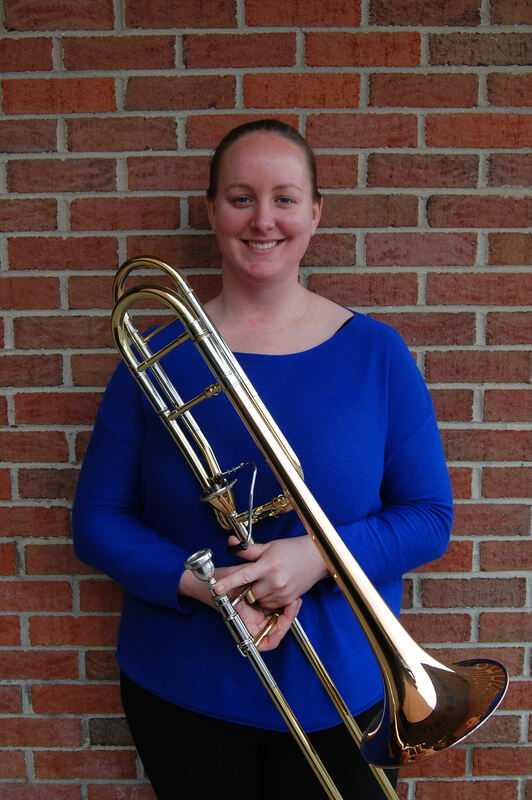 Jennifer Griggs is an active freelance trombonist living in New York City. She performs in different musical settings with a variety of ensembles. She is a member of several chamber music groups including: Tromboteam!, Brass, Le Train Bleu, and Patriot Brass Ensemble. In addition, Jennifer has performed with the Waterbury Symphony, Wallingford Symphony, Orchestra New England, and Orchestra Modern. Before coming to the northeast, she was employed in the pit orchestra at the Cumberland County Playhouse in Tennessee. With the quintet Brass, Jennifer can be heard on a holiday album to be released in December 2013. The debut album of Tromboteam!, featuring nine newly commissioned works, is scheduled for release in 2014. Both projects were largely funded through successful Kickstarter campaigns. Jennifer’s work with the new music ensemble “Le Train Bleu” has led to performances at venues in New York such as Symphony Space, Le Poisson Rouge, Galapagos Art Space, Lar Lubovitch Dance Co, and DROM. Jennifer earned a Master of Music Degree in Trombone Performance from Yale School of Music and a Bachelor’s degree in Music Education from Tennessee Technological University. She credits Scott Hartman, Susan K. Smith, Joshua Hauser, and Kevin Chiarizzio as her private teachers. Outside of her musical life, Jennifer is an avid horsewoman and is currently an instructor at Essex Equestrian Center in New Jersey where she teaches riding, showing, and horsemanship to students of all ages.